Have you ever known anyone that wore a medical ID bracelet or necklace? Maybe you have to wear one yourself? I've known a few people who wore some sort of medical ID jewelry. I was sent one while I was pregnant and it was not the type I was used to seeing people wearing. This one was actually soft, flexible, and waterproof. Mediband makes a variety of these bracelets for many different conditions. They are more appealing for the younger crowd, but also nice for people like me. I liked wearing it. 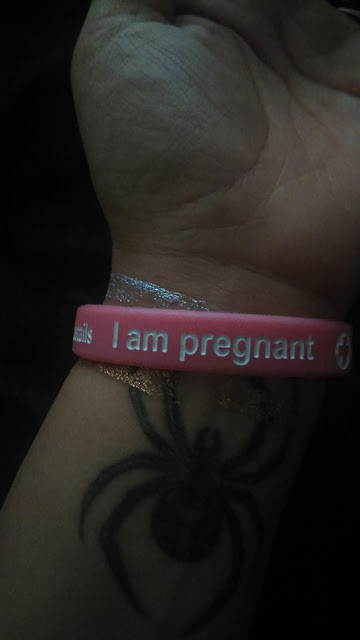 It was nice to let people know that I was pregnant even before I was showing. I wore it even when I was showing. It was good to have on in case of an emergency. What if I had been in an accident and unable to speak? At least the EMTs or whoever was there could know that I was pregnant at the time. 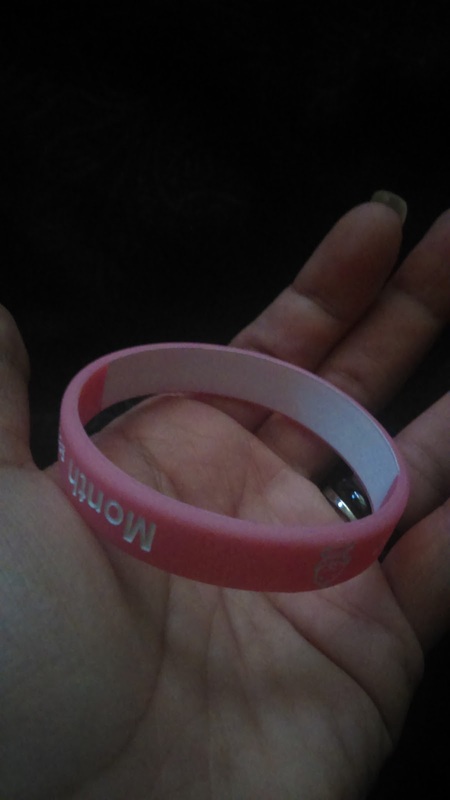 The inner part of the bracelet has a place where you can write any important info on with a permanent pen or marker. Perhaps your name or phone number? Mediband also carries a wide range of silicone jewelry, including bracelets, necklaces, as well as key chains, stickers, books, and fever mates. They also have some jewelry available in stainless steel. They have several different colors and sizes to choose from. Everything is reasonably priced too! According to the company, their products have been designed to help both kids and adults alike with medical conditions/allergies ensure that vital information about their health is readily accessible in emergencies – information that could help to save their lives. They also offer a customization service, where customers can order products that are specific to their medical requirements. I think that this company has some very nice products. Keeping people informed about your medical condition is important. In case of an emergency, knowing your health condition can affect whether you live or die. I mean-- you can get the medical attention required a lot quicker if the people treating you know exactly what might be wrong with you.